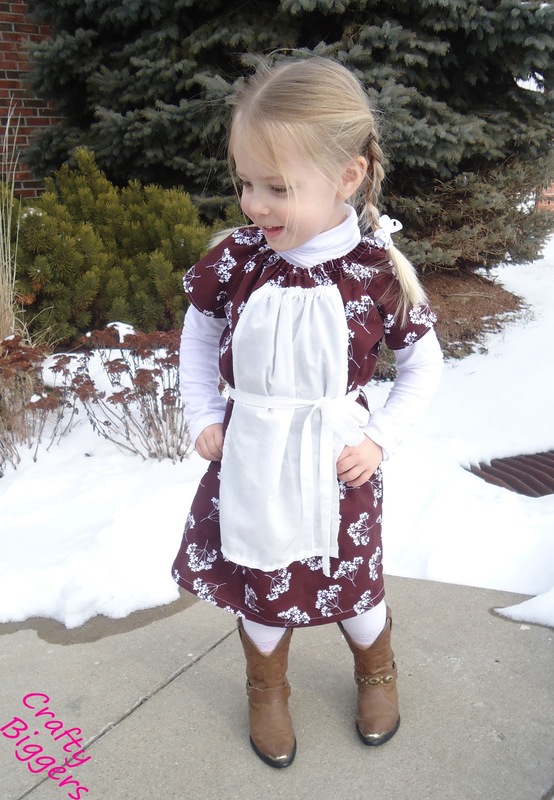 I recently had the opportunity to review an adorable dress called the Milkmaid Dress by Whimsy Couture. The patterns she creates are absolutely adorable and the instructions are always so easy to follow. 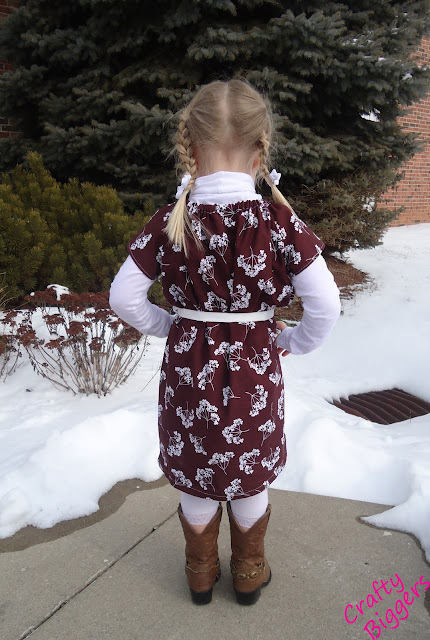 Abby and I really like this one because it is an easy on/easy off dress that lets her dress herself and be independent. I love the awesome cottonwood patterned fabric. When I picked it up at the store it was just under 2 yards and the last of the bolt. I didn't have a project for it yet, but I knew I had to have it. The dress falls just below the knees and is perfect for layering. Since it is obviously still winter around here I paired the dress with a turtleneck and leggings, but it will look just as cute this spring by itself. Are you a fan of simple classic looks for your little ones? I prefer just about anything that my kids can put on themselves. We will definitely be using this pattern again. OMG how adorable! Your little girl is precious and so is that dress. I love the fabric, too, great job! Thanks for sharing at Hookin On Hump Day! Thank you. This was definitely a fun sew. Beautiful! It does look like something easy to make. 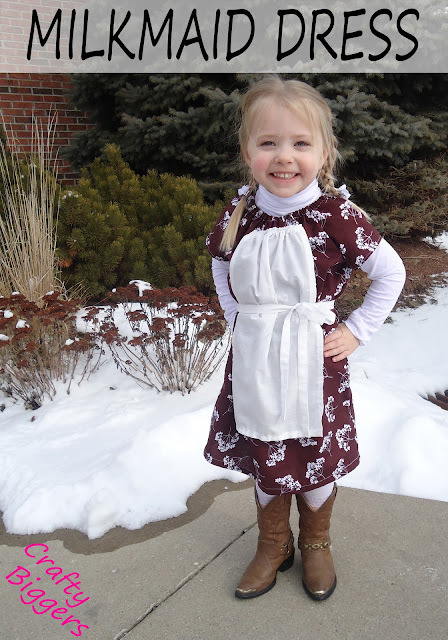 I have been making my little girl's dresses in something that is so easy to make. I love a lot of classic or vintage pieces or inspired clothes and I have actually accumulated few vintage dresses for my girl. :) Love those cowboy boots too and the fact that you got it for that price. So awesome! :) Lovely girl. I would LOVE to find real vintage pieces for my girls. I love when little girls look like little girls. My girls are both tall so the clothes that fit their size don't usually fit their age.